Madrid is a city with a past full of history and a present full of culture. Plenty has happened in Madrid since it was founded, contributing to the creation of interesting myths and legends. For this month’s Blog we want to fuel your curiosity by telling you about our favorite ones. Keep on reading and find out more about the mysteries of our wonderful city! Why are people of Madrid called “Cats”? 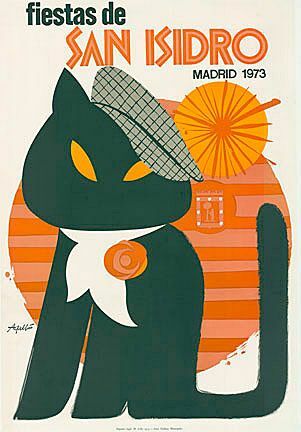 The denomination “gatos” (cats) for the people of Madrid comes from the XI century, when the Arabs occupied most of Spain, including Madrid. Legends say that a brave soldier from the Christian troops came to take back the city. He climbed the massive defensive wall surrounding Madrid and exchanged the flag from Moor to Christian. He climbed it with such agility and control that he resembled a cat, hence why the people of Madrid are known as cats! A more modern theory argues they are called cats because of their passion for the nightlife and for being constantly on the streets, being outside and having a good time. There is a beautiful stairway of 254 steps in the neighborhood of La Latina, situated between Calle Segovia and the garden of Las Vistillas, that has a touching legend. In the XVIII century, this spot was the home of two humble blind men with not much resources. All they did was asking for charity to the passer-by. 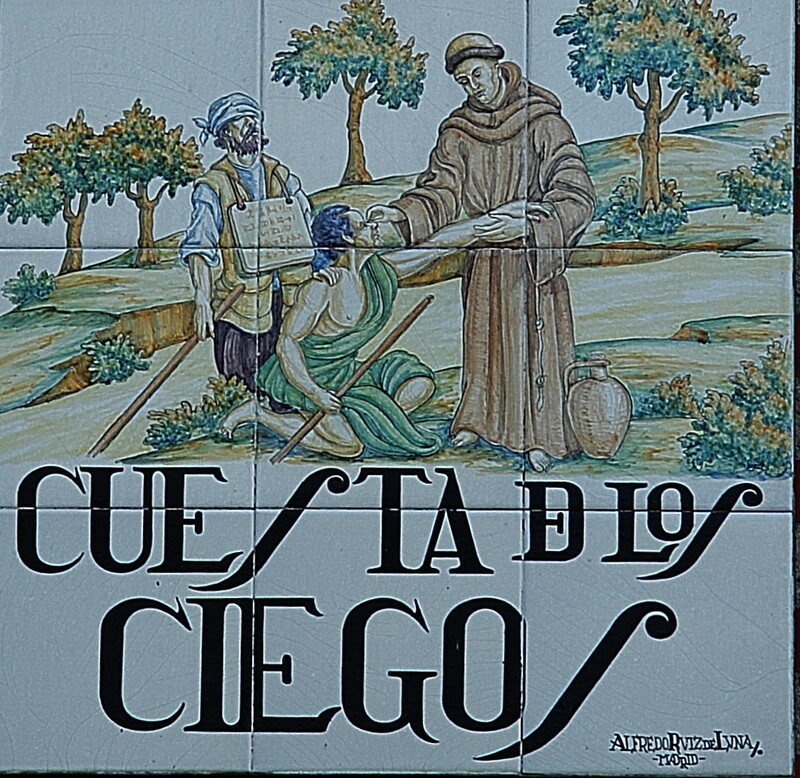 Their luck turned when Francis of Assis noticed them, while passing through Madrid after doing the Camino de Santiago. He was carrying a container with some oil and when he saw the two mendicants he decided to help them by pouring some of his oil in their eyes. Miraculously their sight was restored, contributing to the fame of the Saint. Very close to Callao you can find the street Calle de la Abada, which gets its name from an incident occurred in the XVI century (Abada was the name given to a female Indian rhinoceros kept by Portuguese kings). 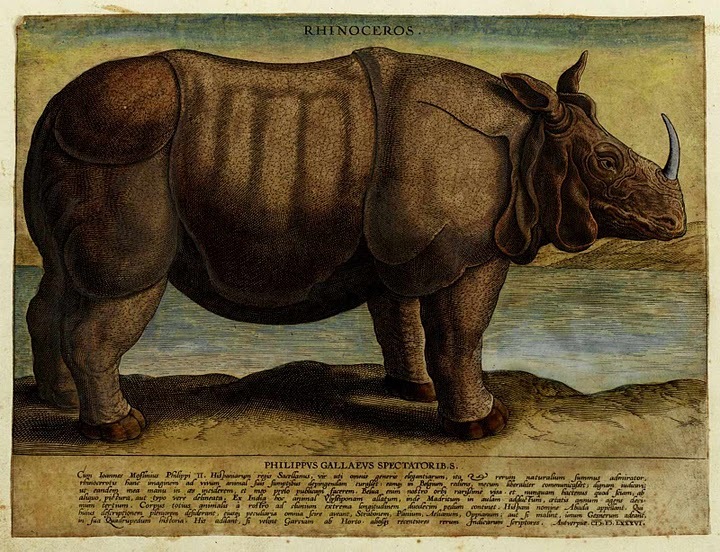 Legend has it that a rhinoceros on display during a fair, killed a young boy and escaped, running through the city for several days before being caught. The prior of San Martin, which owned the land where this incident occurred, had a cross founded in memory of the boy. Years later, when the land was sold for houses to be built, the street was given the name of Abada. Julia is the most famous neighbor in our neighborhood of Malasaña. She is a lonely school girl with books in her hands and a lost expression on her face. She “lives” in Calle de Pez, leaning on the façade of the Palacio Bauer since 2002. Made by the artist Antonio Santin, Julia symbolizes the story of a woman who dared to break the rules of the XIX century. Only boys could study in the University and that is why she decided to dress as a boy to be able to attend classes at the nearby University of San Bernardo. This brave girl really existed, and her real name was Concepcion Arenal. There is a well-known legend amongst the residents of Madrid, which tells about a medieval mystery from the court of King Philip II, about a beautiful young lady called Elena. Elena was married to a captain of the royal troops called Zapata, who was very loyal to the monarch. He was sent to fight in Flanders, where he died. Elena was very saddened by the death of her husband and, soon after, she was found dead in her bedroom. Mysteriously the body disappeared, which made everyone think that it was murder and not a death by natural cause. Another version of her death is that she killed herself. Apparently, Elena was so in love with the King Philip II that she decided to marry an older man to make the regnant jealous. She believed he would do anything to stop the wedding but, King Philip, not only did not interfere with the marriage but wanted to be the best man. The indifference of the King literally drove Elena crazy and that is why she decided to take her own life. From the moment of her disappearance, many witnesses began to see apparitions of a lady dressed in white, wandering through the roof of the House of Seven Chimneys. 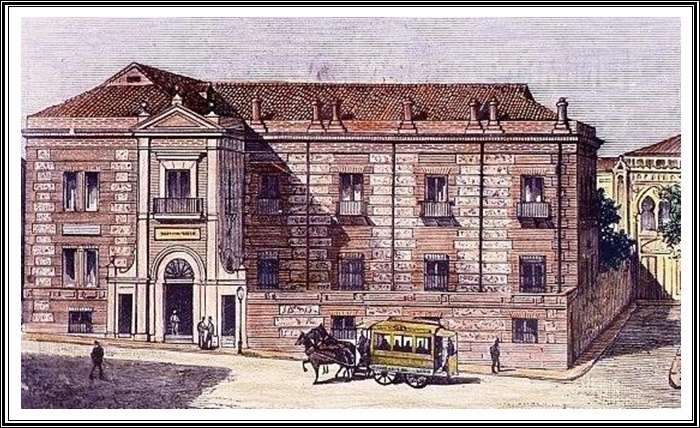 This house, which today is the Ministry of Culture, is still one of the most famous haunted houses in Madrid and some swear that Elena can still be spotted, on some nights. Spooky, right? These stories are just a few of the many legends of Madrid. If you want to know more, stay tuned and keep on following our monthly blog posts for more to come! In the meantime, you can have a look at our past article about interesting things that you might not know about Madrid ¨Typical Spanish habits that will surprise you¨: https://www.mad4youhostel.com/en/blog/typical-spanish-habits-that-will-surprise-you. And, as always, we invite you to follow us on Instagram https://www.instagram.com/mad4youhostel/ and on Facebook https://www.facebook.com/Mad4You-Hostel-521108997958471/ for the latest updates about our wonderful Hostel, neighborhood and city! You can always give us a call at 0034 915217549 or drop us a line at info@mad4youhostel.com. Big hugs from the team!